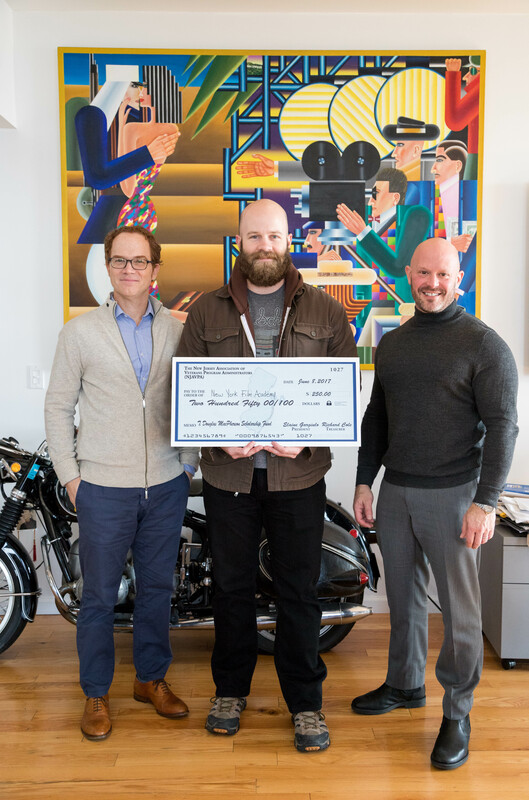 The New York Film Academy (NYFA) was delighted to pass along some holiday cheer in the form of the T. Douglas MacPherson Scholarship, which was graciously gifted from the New Jersey Association of Veteran Service Providers (NJAVSP), and awarded to a NYFA veteran student in recognition for outstanding service to the veteran community. 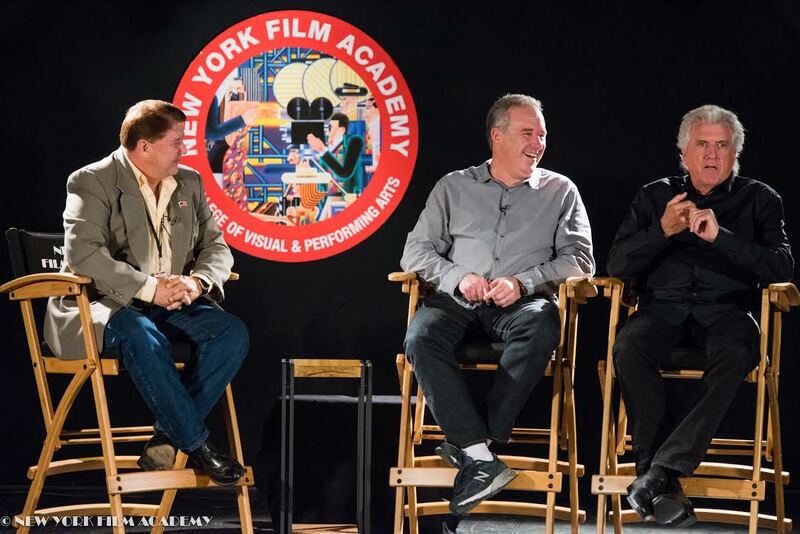 The recipient — professional actor, U.S. Marine Corps veteran, and current NYFA Producing student Caleb Wells — was all smiles as he accepted the token of gratitude from NYFA’s President Michael Young and Senior Executive Vice President David Klein. 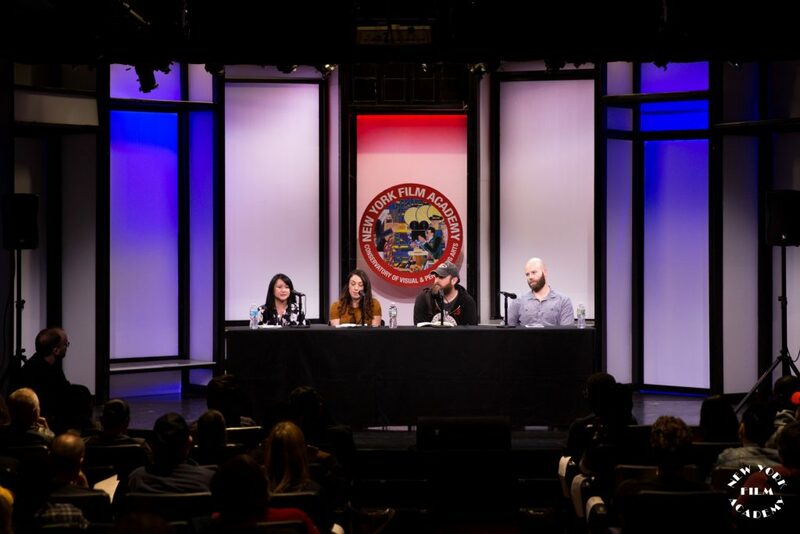 In addition to working his way through NYFA’s intensive Producing Conservatory at NYFA’s New York City campus, Caleb volunteered his time as a speaker and panelist in a recent event in collaboration with the NYC Mayor’s Department of Veteran Services: NYC’s Public Artist in Residence-Bryan Doerries’ Theater of War. The performance was hosted at the New York Film Academy Theater in October, to a packed house. Caleb spoke candidly about challenges and perceptions he encountered after returning home from the experience of combat and war. 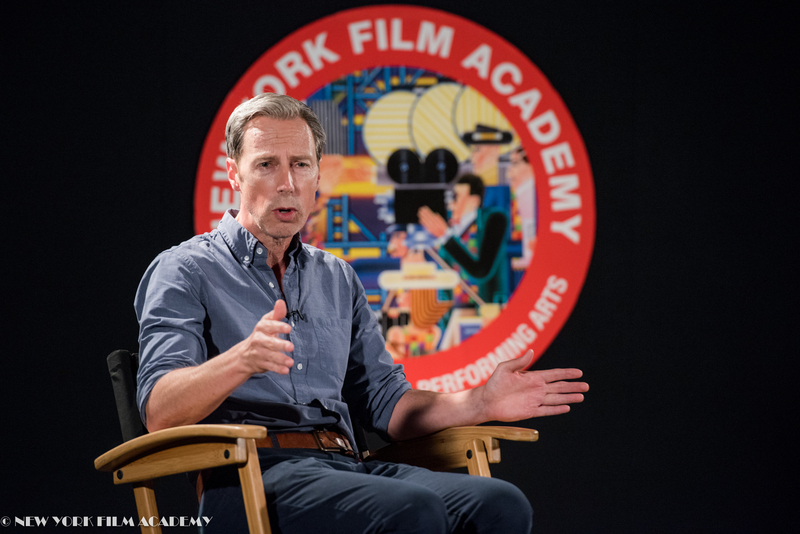 During a recent NYFA-hosted Hire Heroes USA professional development workshop for veterans in film and television, Caleb brought his experiences as an actor, director, and producer to service members aspiring to enter the industry. 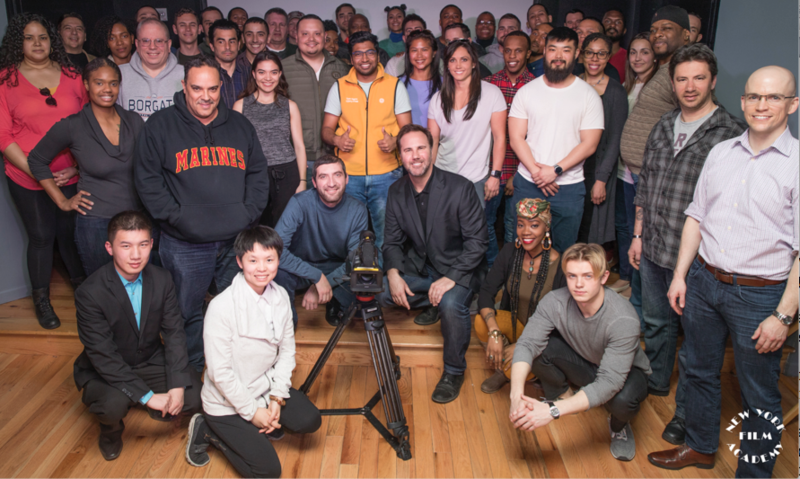 Caleb has teamed up with fellow military veterans to start Tomahawk Pictures, a production company formed through the values of shared military culture. 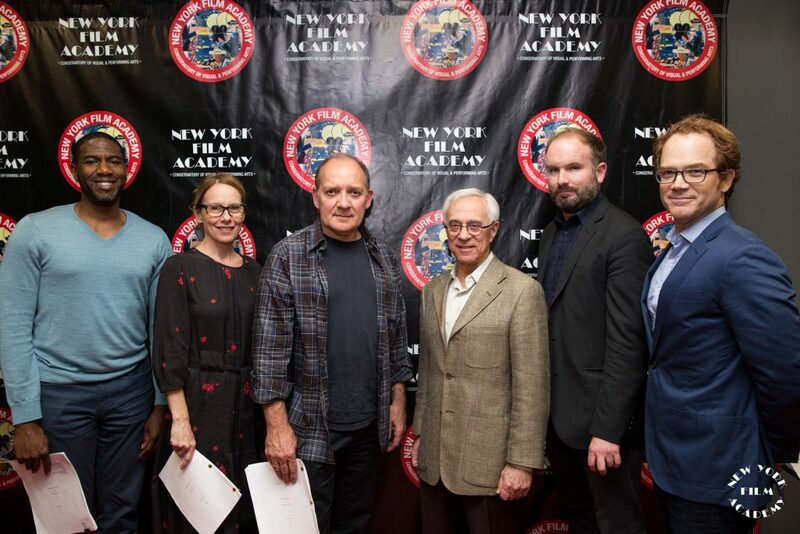 New York Film Academy is honored to count Caleb among its diverse array of students and is proud to serve military veterans and service members in their pursuit of a world-class education in filmmaking — and related disciplines — through its Veterans Advancement Program, Chaired by Colonel Jack Jacobs, Medal of Honor recipient. This week, our nation celebrates the men and women who have served our country in the US Military by paying special tribute to by honoring them on Veterans Day. 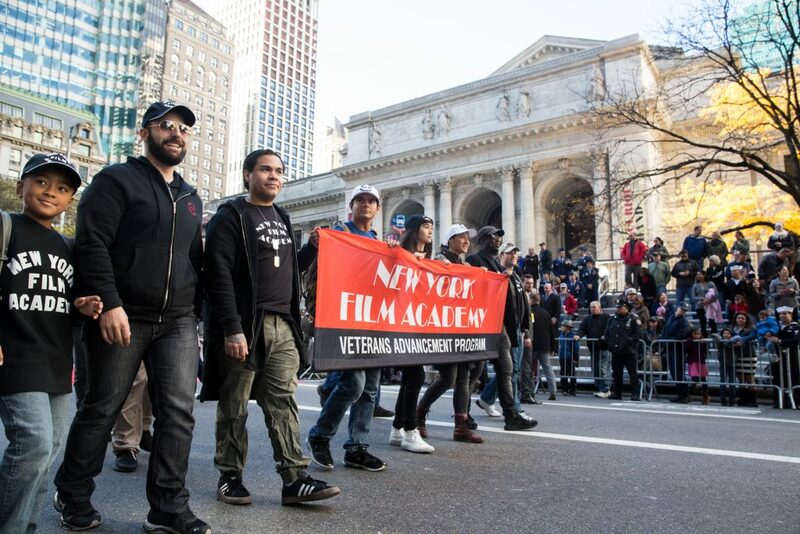 Over the last seven years, nearly 1,500 military service members, veteran students, and military dependents, have selected the New York Film Academy (NYFA) to be the choice for their higher education. 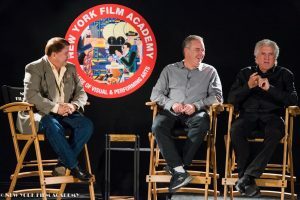 “Jerry Sherlock, who was a veteran of the US Air Force, founded the New York Film Academy 25 years ago and was always committed to making NYFA a welcoming learning environment for veterans who wanted to tell their own stories through the visual and performing arts,” stated Michael Young, NYFA’s President. 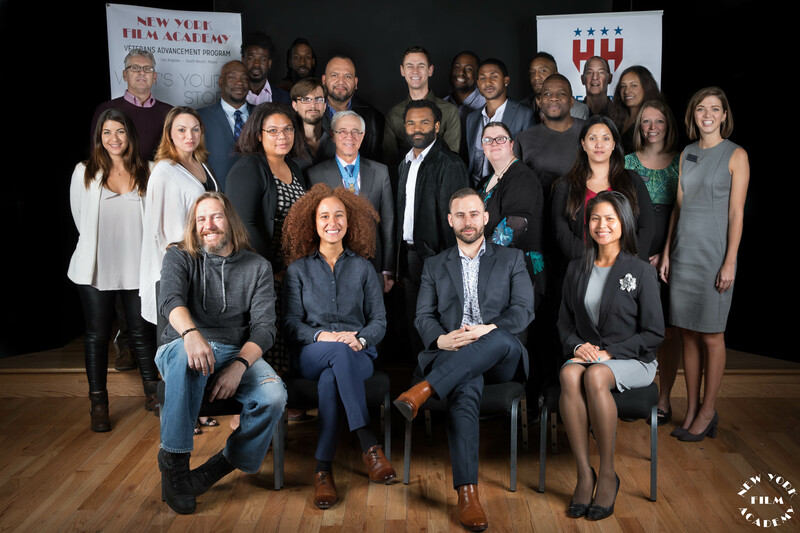 “As a role model and leader to our veterans, we are honored to have, Colonel Jack Jacobs, Congressional Medal of Honor Recipient, as the Chair of the NYFA Veterans Advancement Program,” said President Young. 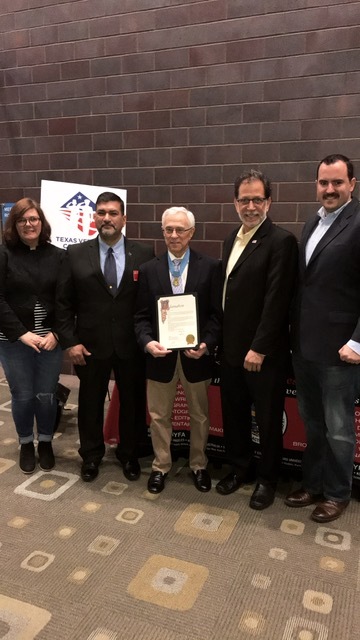 Colonel Jack Jacobs is an Army Veteran who received the Nation’s highest military honor for his heroism in Vietnam, the Medal of Honor. 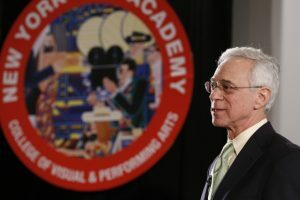 Colonel Jacobs, a media personality who can be seen regularly on MSNBC and NBC, and often on shows including Morning Joe, Bill Maher, Stephen Colbert and Rachel Maddow, is one of only 73 living Medal of Honor recipients. Colonel Jacobs interacts with NYFA’s veteran students on a regular basis providing them with encouragement, advice, and opportunities while they are enrolled at NYFA, and also when they return to the school for the many activities that the NYFA Division of Veteran Services arranges for veteran students and alums. The New York Film Academy Salutes the service of all US military Veterans This Veterans Day. “A great man must live in honor or die an honorable death” were the weighty words spoken by actor Zach Grenier (“The Good Wife,” “Fight Club”), as he voiced the character of Ajax, the mighty Greek warrior. Grenier’s Ajax then turns to his wife, Tecmessa, played by the multiple Tony and Academy Award nominee Amy Ryan, describing the indignities and horrors he has suffered since returning home from the Trojan War. 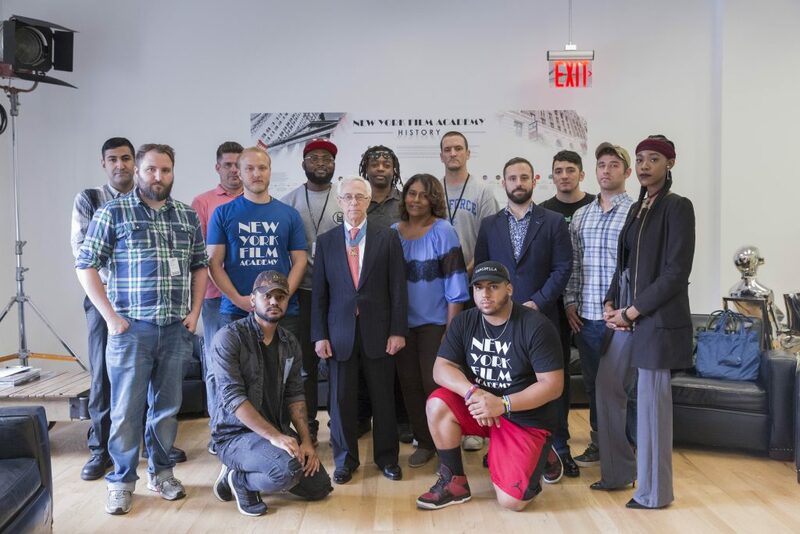 Inside the dimly lit walls of New York Film Academy’s (NYFA) campus theater on October 25, the student veterans and their supporters, over a hundred in attendance, were deeply moved by the performances by Mr. Grenier, Ms. Ryan, and NYC Council Member Jumaane Williams. Like the fabled wars of antiquity, veterans returning home from modern conflict face challenges and obstacles with themselves, their colleagues, and their loved ones stemming from violence. 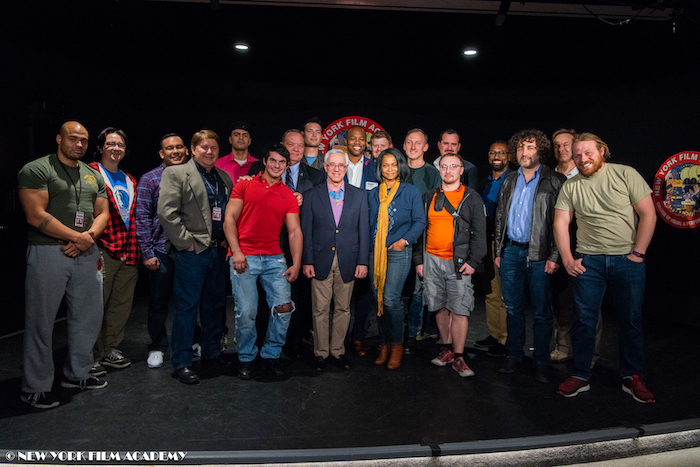 Moral injury is at the center of the discussion that director of “Theater of War” Bryan Doerries hopes to start by utilizing ancient Greek plays to foster constructive community discussion. 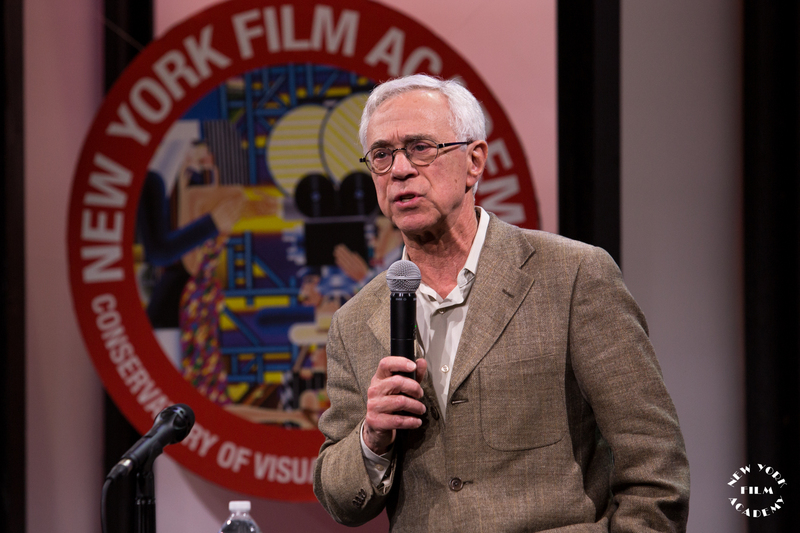 Chair of NYFA’s Veterans Advancement Program Colonel Jack Jacobs, Medal of Honor recipient and one of the most decorated soldiers of the Vietnam War, gave an opening welcome to the audience before a panel discussion about the challenges and obstacles that come from the invisible wounds of war and combat followed the night’s performance. 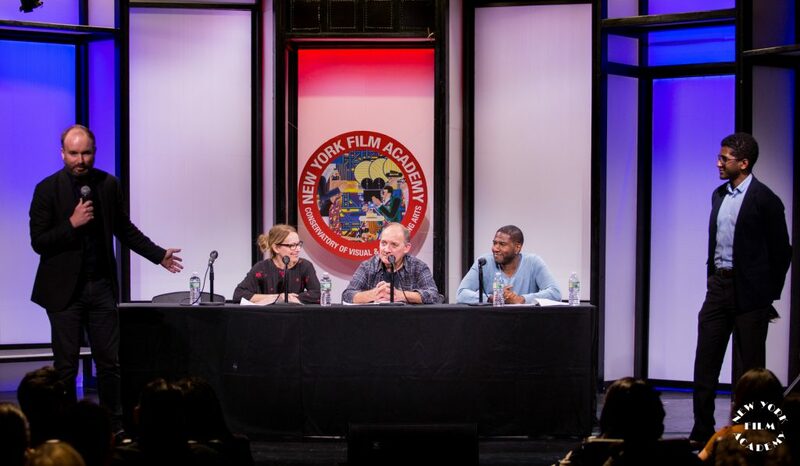 “Knowing this issue is at least 2,500 years old, it seems silly that we aren’t rock stars at helping our veterans return home from war and give them the help, support, and an environment that facilitates healing,” said USMC combat veteran, infantry officer, and NYFA student, Caleb Wells, who participated in the night’s discussion as a panelist offering his own unique viewpoint on assimilating back into civilian culture after the experience of war. 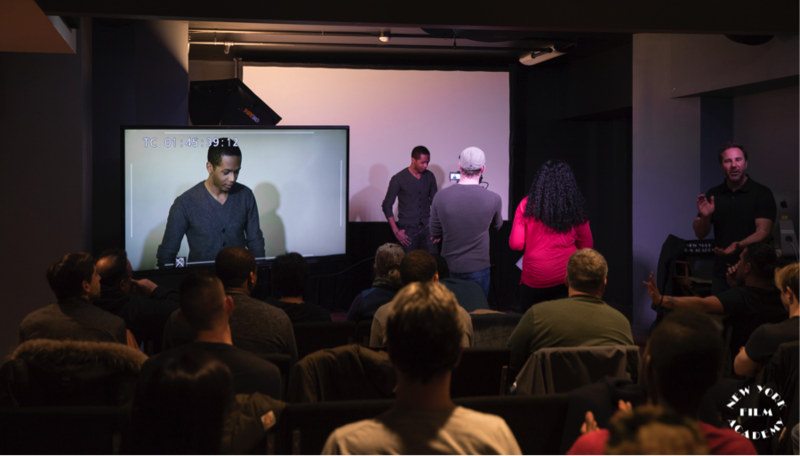 Theater has been recognized since the days of ancient city-states as a powerful medium for audiences to experience the release of negative emotions, or catharsis, through performance. Retired Brig. 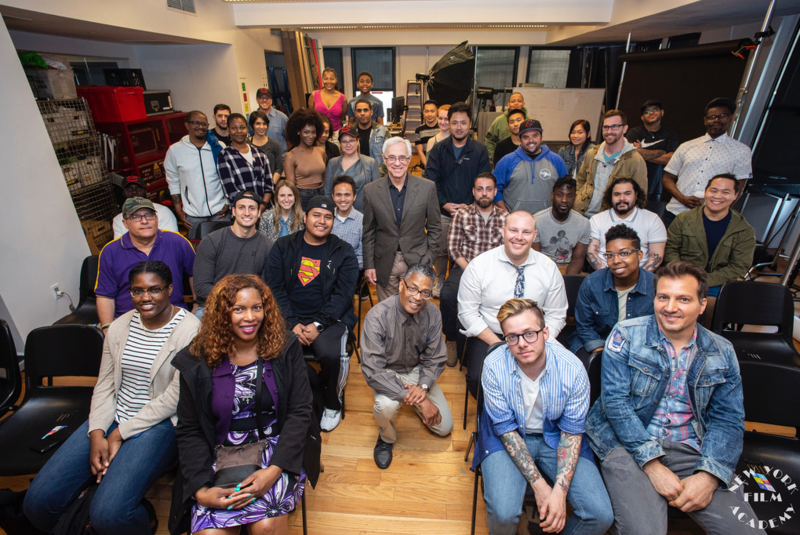 Gen. Commissioner Loree Sutton, MD of New York City’s Department of Veteran Services, has supported the dialogue through the City’s Public Artist in Residency Program, believing that an open dialogue is key to reducing stigma and encouraging sufferers of PTSD and moral injury to seek assistance.